Ravinder is a Human Rights and Public Law solicitor with over 8 years post qualification experience. She specilises in Community Care, Housing, Mental Capacity and Public Law. Graduating from Kingston University in 2003 with LLB Law (Hons) and LLM in Human Rights Law at Birkbeck University of London in 2014. Ravinder qualified as a solicitor in 2008. Ravinder trained, qualified and worked at a leading legal aid law firm before setting up RKB Law in 2017. Ravinder represents vulnerable adults, carers, and disabled children in judicial reviews to challenge unlawful decisions of public bodies concerning assessments and provision of services. She represents clients in appeals concerning NHS continuing care. Ravinder has expertise in representing vulnerable young people requiring support and accommodation from social services and assisting families with no recourse to public funds to obtain support. She advises clients on challenges under the Human Rights Act 1998 and Equality Act 2010. Ravinder is experienced in dealing with cases in the Court of Protection on matters under the Mental Capacity Act 2005 and regularly represents vulnerable clients as well as family members. 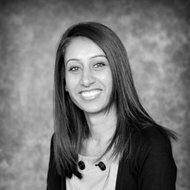 In addition to her experience in Community Care, Ravinder is an experienced Housing solicitor. Ravinder represents vulnerable clients in homelessness applications and appeals in the County Court. 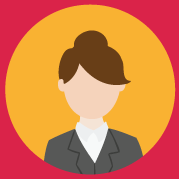 The Legal 500 describes Ravinder as ‘highly competent’ for her Court of Protection work. In her spare time, Ravinder likes to travel, read and practice yoga. R (J and others) v Hackney LBC  EWHC 3021 (Admin): The case concerned a challenge against the failure of the local authority to provide support for a homeless child and his parents under s.17 Children Act 1989. In awarding costs it was held that this was a case where it had been obvious from the outset that J was likely to succeed and therefore J should be entitled to recover costs. The Claimants had presented themselves as being destitute and had been turned away by the local authority which had necessitated an application for interim relief before the out of hours judge. R (U) v Newham LBC  EWHC 610 (Admin): A child applied for assistance under the Children Act 1989 in the form of accommodation for herself and her mother. She was a British citizen but her mother was a non-EU third country national with no right to remain in the UK under immigration rules. Judicial review proceedings were started when the council refused assistance. The High Court made a declaration on the correct approach the local authority children's services should take to assess the eligibility of a British child with a Third Country national parent to Children Act services in the context of EU law. The Court applied the ECJ judgement in Case C-34/09 Ruiz Zambrano. It was declared that Local authorities when considering eligibility for support of a British child with a Third Country national parent under the Children Act 1989 must consider the nature of the family's composition and the dependency between the child and parent and the family's right to reside in the UK under EU law to determine the family's eligibility for mainstream support. This is not dependent on the Third Country national parent's domestic immigration status. The council was ordered to pay costs on an indemnity basis. R (RG) v Lewisham : Ravinder represented a 14 year old boy to challenge the failure of the local authority to assess his needs, recognise him as a disabled child and provide services to him as a child in need. The local authority agreed to carry out the assessment and provide a package of care to him as requested after the issue of proceedings. R (CN) v Newham : Ravinder represented a quadriplegic young man to challenge the local authority’s failure to fund his placement in a care home of his choice when he could no longer live at home. An application for judicial review and interim relief was lodged to secure funding on an urgent basis for the placement and to challenge the local authority’s failure to assess his needs properly. R (SG) v LB Havering : Ravinder represented a street homeless man with 2 children to challenge the decision of the local authority not to provide accommodation pending inquiries into their homelessness application. An urgent application interim relief application out of hours was needed to secure support for the family. Interim relief was granted and the proceedings were settled by consent. CCC v (1) TK (2) DK : Ravinder represented a mother in welfare proceedings concerning her young adult disabled daughter whereby the local authority contended it was in her best interests to receive a specific package of care. She was assisted to challenge the capacity assessment and adequacy of the package of care and assessment of needs. Proceedings concluded in 2015 with an agreed package of care and declarations relating to capacity concerning the client’s disabled daughter. R (KO) v SSHD (: Ravinder represented a mother and 4 children to challenge the failure of the SSHD to provide suitable accommodation to the family as asylum seekers in an area where they had lived and the children attended schools. Judicial review application was lodged. On granting permission the judge observed the importance of the legal arguments in the case relating to the SSHD powers to seek support from social services in discharge of duties towards children. The SSHD agreed to the relief sought and the proceedings were settled by consent. R (SB and JA) v Haringey LBC  EWHC 2692 (Admin): Ravinder acted for a 14 and 4 year old children to challenge the failure of the local authority to properly assess their needs and provide them with accommodation as they were homeless. The claim succeeded on the grounds of procedural unfairness to the Claimants when their Mother was not advised of the issues raised in a letter subsequent to the assessment and the consideration of irrelevant information when reaching a decision. The court quashed the local authority’s decision.